Umbria Walking holidays: A Self Guided Walk Through Italy’s Historic Heart. Enjoy the various landscapes with their beautiful views of the valleys and hills and the towns Assisi, Spello and Spoleto, where you can still taste the medieval atmosphere. Green Umbria, Holy Umbria, the Region of One Hundred Towns are the epithets often used to describe this beautiful region, adjoining Tuscany, which lies in the heart of Italy. With its hills and low mountains, its villages and towns, Umbria is a region of many faces, where everyday life is mixed with the traditions of its past. You will walk through rolling and changing landscapes in which gorgeous and often spectacular countryside is dotted with medieval villages and ancient places of worship. Walk across the slopes of Mt. 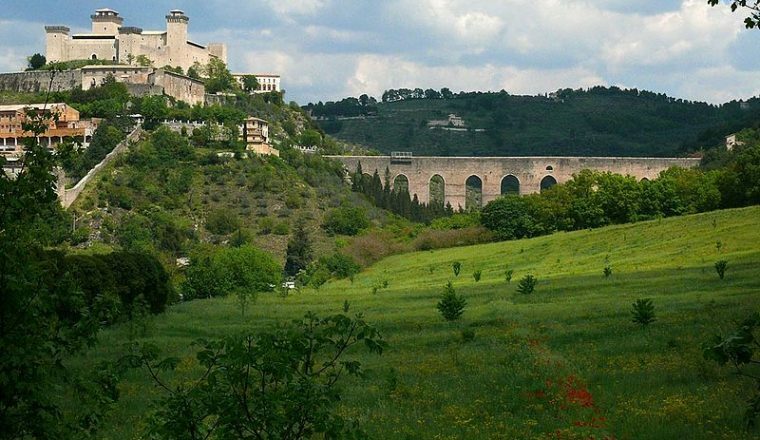 Subasio, and the lower Apennines, enjoy the silence of oak groves at the Monteluco of Spoleto, olive groves, waterfalls of the Menotre river, the Benedictine abbey of Sassovivo, the Franciscan cloister of Eremo delle Carceri and of course the historic towns of Assisi and Spoleto. You are met on your first evening and will have the opportunity to discuss your holiday. 9 night tour: £845 per person, £170 single supplement. 7 or 9 nights accommodation. Daily departures from the 15th March to 15th November. 7 night/8 day tour cannot be booked to start on a Sunday. 9 night/10 day tour cannot be booked to start on a Saturday. This is because Restaurant il Tartufaro is closed on Tuesdays. For walkers with experience. Routes through middle/high level hilly landscapes with some steep climbs. Daily distances between 11 and 22 km. An average of 3 km an hour. You will walk on footpaths, mountain tracks, forest trails and occasionally on roads. Arrival in Spello, a charming small Umbrian town celebrated for its Pinturicchio frescoes. Our local representative will meet you in the evening in your hotel to give you a briefing on the route. Overnight Spello (il Cacciatore Hotel). A beautiful route amoung olive groves to the waterfalls of the Altolina and then to the 11th century Sassovivo Benedictine Abbey, notable for its magnificent cloister. Continue through woods to the hamlet of Roviglieto and then on to your Agritourismo in Manciano with its swimming pool. Dinner and overnight Agritourismo La Pintura. Distance 18 km, 6 hours walking. Walk to Trevi on the flanks of Monte Serano, the olive oil capital. Take time to visit the medieval centre and Duomo in Trevi before continuing along the Way of St Francis the Pilgrim route from La Verna to Rome. You will arrive at the walled village of Campello Alto and there is one final climb to your hotel (or Giuseppe will pick you up from the village if you are too tired). 17 km / 5 hours walking. Overnight and dinner Hotel La Fontanelle Campello Alto (restaurant famous for their black truffled recipes). Day 8: Check out and departure. The tour can be extended with two extra days. 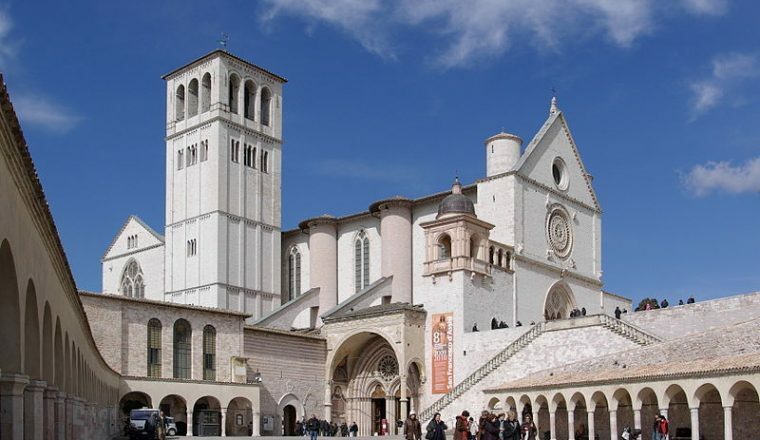 You can stay an extra night in Assisi and Spoleto and we will provide circular walks in each place. Ask for details.